Adorable oceanfront condo with awesome view of beach and ocean. 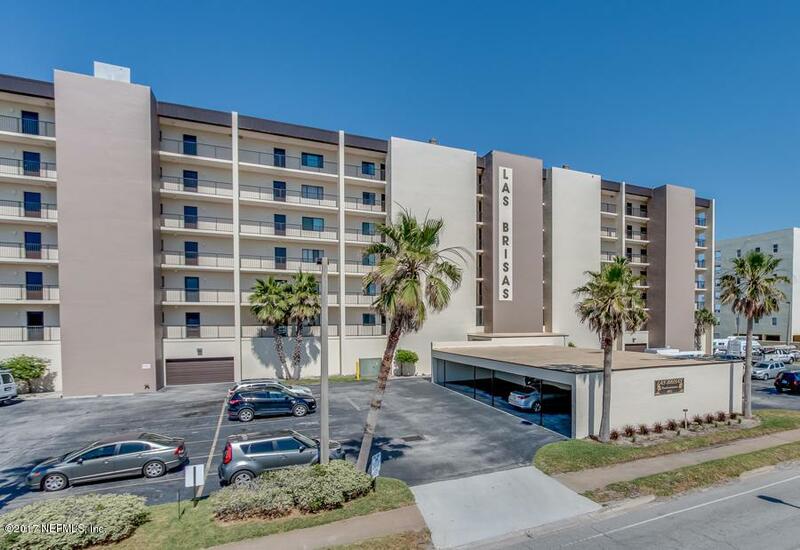 Stunning ocean view condo located in the heart of Jacksonville Beach, Florida. 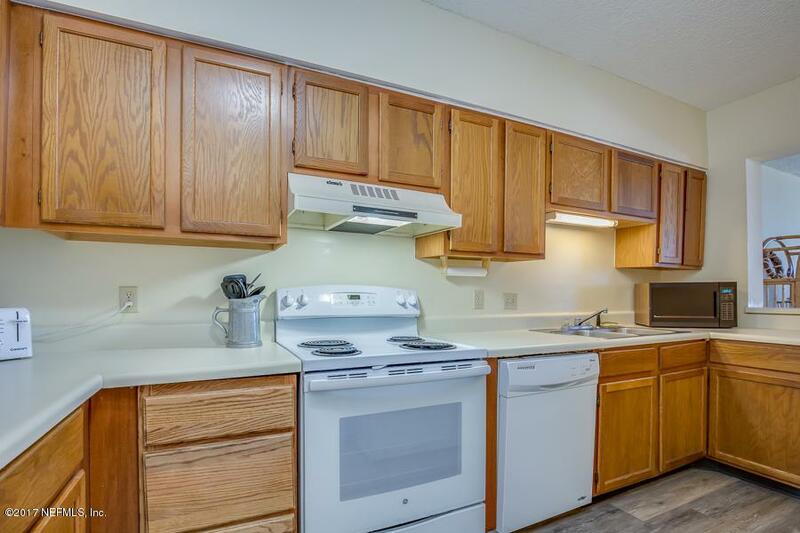 Galley style kitchen. Separate dining room with seating for 4. Master bedroom has attached full bath, queen bed, TV and walk-in closet. Master bath has shower/tub combo. Guest bedroom has queen bed and double closets.Guest bedroom has a tv, but it does not have cable. Tenants are welcome to bring their apple TV. 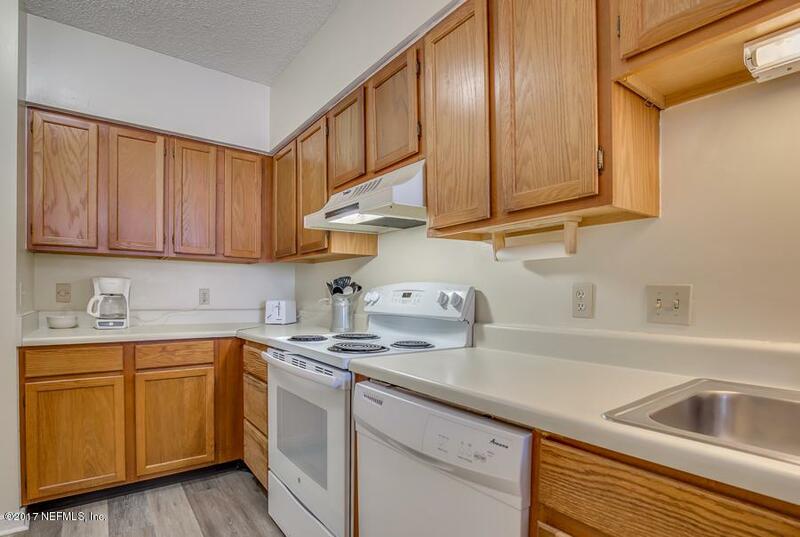 Owner has sufficient internet to stream movies from apple tv etc.Guest bathroom has tub/shower combo and has access from the dining/family room and the guest bedroom. Living room has access to oceanfront balcony that overlooks pool, beach and ocean.Condo features community coin operated washers and dryers (several located on each floor), cable tv, high speed internet and everything to make your vacation as comfortable as possible! Pets on a case by case basis and only with owner and community approval (fee varies), 1 Month minimum. Community features private swimming pool. This complex does have an elevator. 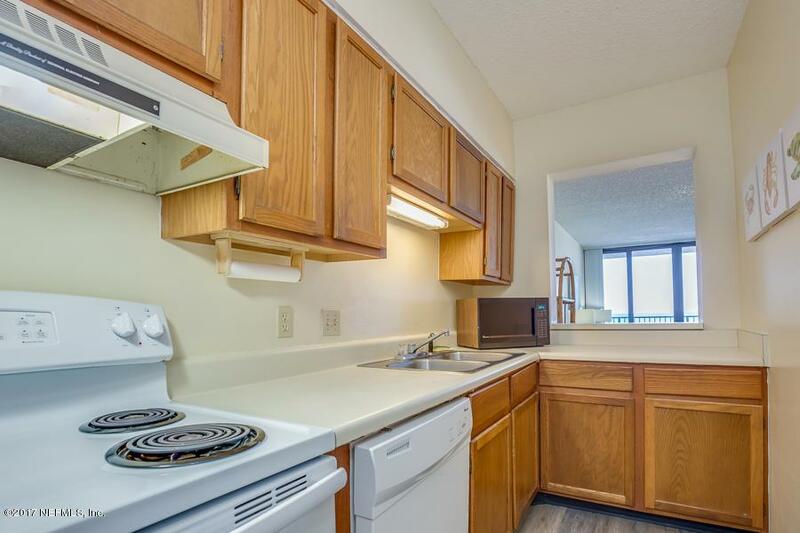 Condo is within walking distance to several nice bars, shops, restaurants, the Seawalk Pavilion (oceanfront Amphitheatre) and the festive area of Jacksonville Beach. The Jacksonville Beach pier is only blocks away and offers great fishing as well as the wide, flat beach great for surf-fishing, biking and shelling. Jacksonville, Jacksonville Beach and nearby Ponte Vedra Beach is home to many world famous golf courses, museums and festivals and several cultural events. Jacksonville and Jacksonville Beach offer plenty of activities from The Jacksonville Zoo, Adventure Landing, Jacksonville Suns Minor League baseball or Jacksonville Jaguars pro football team. Deep Sea fishing available by various local charter boats or grab your pole and hit the beach for some great surf fishing. Located 30 minutes from historic St. Augustine the Oldest City in America. St. Augustine offers plenty for kids and adults to indulge in. Visit The Alligator Farm, rent jet skis or go para-sailing, visit the Castillo de San Marcos National Monument or Ripleys Believe it or Not and The Fountain of Youth! Rates subject to change for Holidays, special events or seasons. Rates do not include tax, cleaning, reservation fee, damage protection premium or security deposit.